During most Operation Smile missions, our patients, many of whom have traveled 15+ hours to get to the mission site, are housed at a shelter where they stay for the duration of the mission. 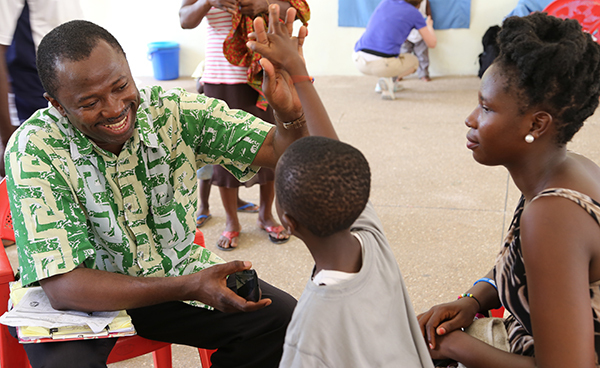 On our most recent mission to Cape Coast, Ghana, in partnership with other NGO’s including the Peace Corps, The Africa Rights Initiative (ARII), and the Just Care Foundation, we ran workshops at the patient shelter with one objective: to help people to help themselves. ARII, a local non-profit, is a volunteer-based international relief and development organization responsible for promoting human dignity and sustainable livelihood in Africa. The organization is supported by the Just Care Foundation and together, they delivered skills development training in bead making, weaving and batik tie-dye making, a typical local wax fabric dying. To ensure the audience could benefit from the newly acquired skills, another local NGO, I-Vol AFRICA, ran several modules of basic microfinance to teach parents and guardians how to raise funds to purchase the items to run a business and learn how to market and sell their products, what to do with the revenues they make, how to save, how to reinvest, and what to spend. 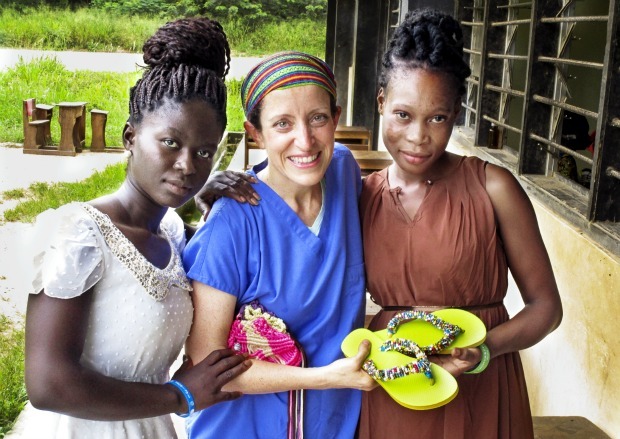 Sabrina Ghiddi, advisor for Operation Smile, had the opportunity to participate in more than one medical mission and witnessed first-hand the impact of Operation Smile in the life of the patients and families. When the medical mission concluded, the 45 volunteers, doctors and nurses came to the patient shelter to see the impact of the shelter workshops. Following a thank you celebration, the new artisans were able to showcase their new craft, and volunteers were able to view and purchase the goods they produced, such as purses, slippers, bracelets, and fabric. With these funds raised, Ghiddi purchased for the patients a ‘starter kit’ that they will use to start their new venture. In addition, ARII and Just Care also delivered a child development training with the aim of helping families of Operation Smile beneficiaries with the needed skills and relevant worldview to enhance childcare and child support at the family level. This is to ensure that parents and guardians take part in the issues that affect the growth and development of their children to ensure that the operated children can in the future thrive and develop fully so that they can also contribute meaningfully to national life as they grow. Throughout the medical mission, the Peace Corps volunteers were also extremely active in organizing workshops around AIDS/HIV, health and nutrition, hand-washing, and Ebola. Lastly, there was a training delivered on clefts. This was aimed at removing any association with spiritual curse that is very common in Ghana.